The Ceramic-Coated Aluminium Magnesium (C-CAM®) metal alloy driver cones used throughout our comprehensive range are very light, but very rigid and strong. Such a magical mix of properties allows them to reproduce the most delicate musical atmospherics as well as the dynamic bass excursions of movie action scenes or an explosive kick drum barrage. 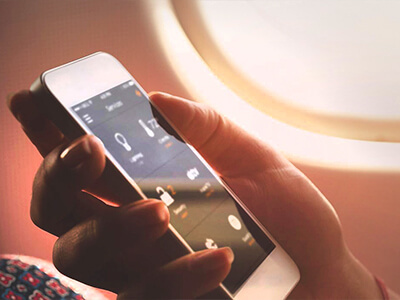 Our proprietary C-CAM® drivers can be much smaller than conventional designs and yet operate way beyond the limits of human audibility without distortion. 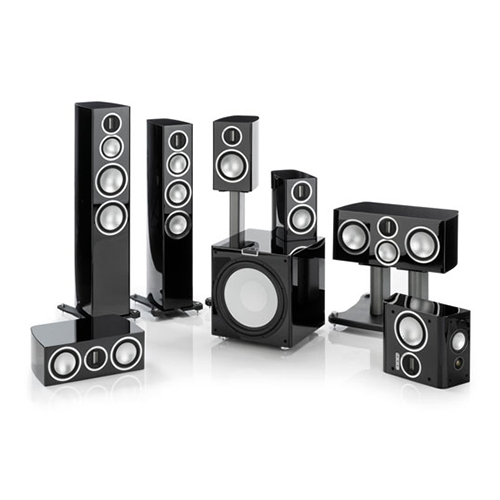 This means that we can design slimmer more elegant cabinets around them, so you enjoy class-leading audio performance from speakers that better suit your décor and lifestyle. And since they all share a consistency of tonal accuracy our on-wall, in-wall, floor or stand-mounting speakers may be mixed for the perfect aesthetic and sonic result in any environment. 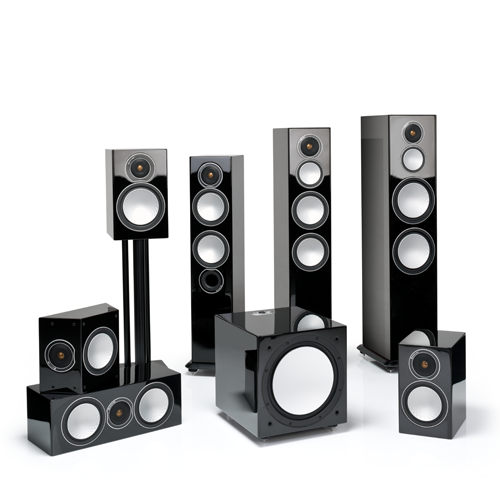 In the strength and depth of our ever-evolving product portfolio, Monitor Audio continues to demonstrate the power of a high quality, high performance loudspeaker brand that serves every application, taste and budget – and every possible desire. 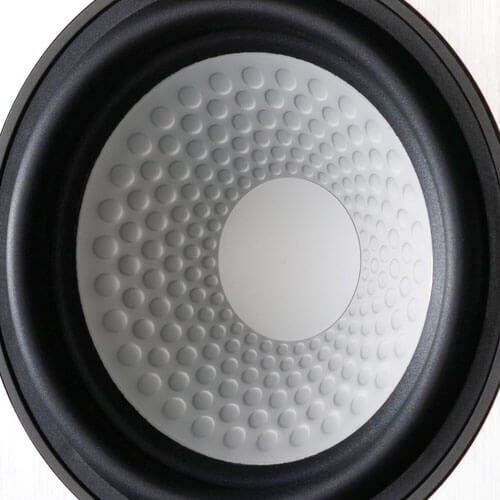 The gold dome tweeter is formed from a ceramic-coated aluminium/magnesium alloy, gold anodised to a specific thickness for ideal stiffness and damping characteristics. Its new profile and surround geometry have been developed using advanced modelling tools, to provide the optimum qualities for accurate sound reproduction. The new design moves the first order of breakup to beyond 35kHz, producing a linear response way beyond audibility, which matches the wide frequency bandwidth available from HD music and cinema sound formats. The Rigid Surface Technology (RST) cone profile is inspired by the Japanese art of Origami, which demonstrates how a very light material (like paper) can be strengthened and made more rigid by making small and precise folds on its surface. Monitor Audio has applied this principle in designing the CAM/RST cones for the GX and RX ranges. Developed and perfected using sophisticated computer modelling (Finite Element Analysis), the GX mid and bass driver cones have been strengthened by a series of radial ribs; the RX driver cones by a pattern of dimples. Our simulations have proved that RST significantly increases cone rigidity, allowing the radiating surfaces to resist mechanical bending forces, which can twist the shape of conventional driver cones to produce distorted sound. The strengthening effect of RST means that we can use thinner, lighter and more responsive C-CAM cones, which provide speed and accuracy while offering greatly reduced distortion. The RST patterns also help to displace standing waves that can propagate on the cone’s surface. Platinum is Monitor Audio’s flagship range, a culmination of many years of research and development by Technical Director Dean Hartley and his team. It’s the result of ‘blue-sky’ thinking in driver and cabinet construction involving radical new materials, processes and designs. 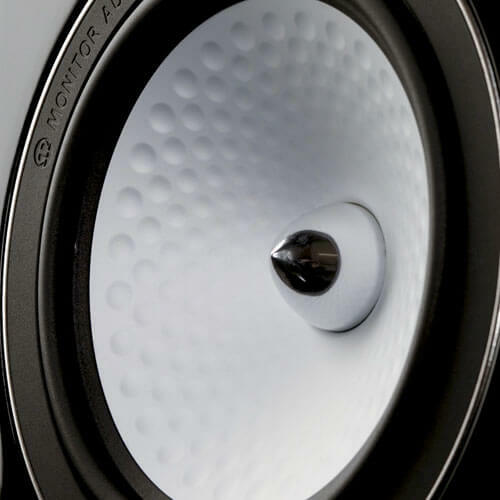 For Platinum, the challenge was to introduce genuinely esoteric yet affordable performance and quality to the loudspeaker market; and to achieve the most natural sound possible by focusing on each and every design detail. Supremely esoteric in nature, the range sets new standards of aesthetic quality and performance in its class. Platinum’s innovatively shaped and braced cabinets are finished in a choice of lustrous black lacquer, exotic Santos Rosewood and Ebony natural wood veneers. These are hand-selected, matched and coated with eleven layers of clear gloss piano lacquer. The front baffles are upholstered in Strathspey leather and loaded with custom-developed drive units including a Ceramic Coated Aluminium/Magnesium (C-CAM®) ribbon high frequency transducer. With a mass of just 18mg, the ribbon diaphragm has a very fast transient response and exhibits extremely low distortion. These characteristics coupled with a useable frequency range to 100 kHz allow it to capture the leading edges and natural decay of the most complex musical sounds and their harmonics. The Platinum C-CAM bass/mid-range drivers employ Rigid Diaphragm Technology (RDT) in which a core of honeycomb Nomex material is sandwiched by ultra-thin skins of C-CAM, creating a structure which is extremely light but more rigid than a steel plate. Key design elements such as the baffles, plinths, and the mid-range housings are cast from Anti-Resonance Composite (ARC®) material: a thermo-set polymer loaded with minerals to provide very inert, optimally damped components. Our ambition for Platinum demanded an utterly purist mentality, the development of new materials and proprietary structures, exhaustive anechoic testing and plenty of good old-fashioned listening. Every component part for each of the seven Platinum models is produced to exacting standards and carefully assembled by a small team of technicians. The Platinum series represents the epitome of British craftsmanship and quality, and demonstrates Monitor Audio’s devotion to music and film sound reproduction. Platinum C-CAM high frequency ribbon transducer. Cabinets are constructed from multiple layers of bonded MDF, forming an extremely rigid multi curved shell, hand finished in a choice of lustrous exotic wood veneer or piano gloss. ‘Bullet’ spike feet of high-tensile steel, chrome-plated to a mirror finish. Curved cabinet profile for increased rigidity. 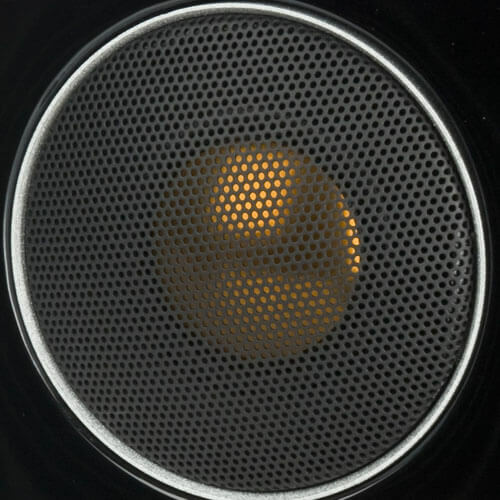 Features introduced by our prestigious Platinum and Gold series speakers have been enhanced, and recent innovations in driver engineering incorporated across an extended new range, which includes two stand mount models: Silver 1 and 2; three floor speakers: Silver 6, 8, 10; and dedicated centre, ‘FX’ surround and active subwoofer models. 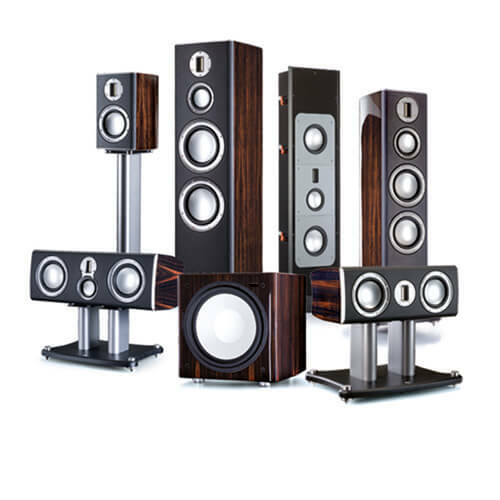 While Silver 1, 2, 6, centre and FX retain the form factor of their predecessors, the Silver 8 becomes a full three way design, and new to the Silver genre, the Silver 10 tower offers an up-scaled floor-standing format, featuring twin 8” bass drivers for a deeper more dynamic and consistent response in larger rooms.